Hadal-lander A was a free-falling baited lander equipped with a 3CCD hi-resolution colour video camera (800 TV lines; HV-D30; Hitachi, Japan) which was controlled and logged by a bespoke electronics system (NetMC Marine, UK; Oceanlab, UK). 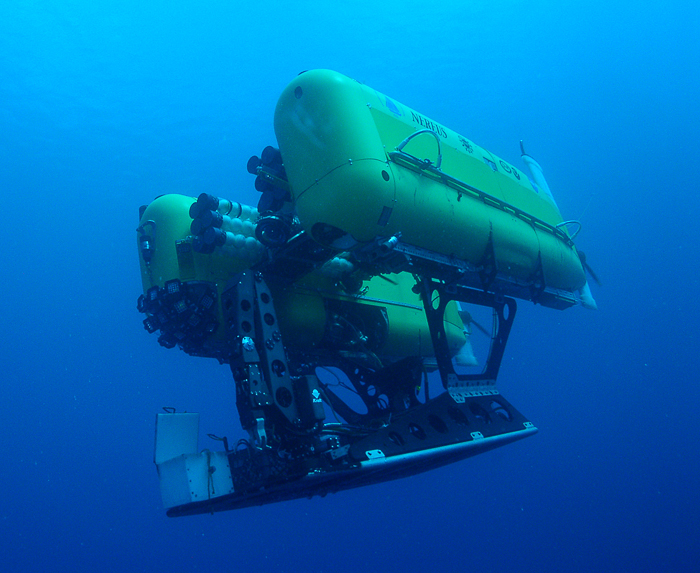 It also had a Conductivity, Temperature and Depth (CTD) sensor (SBE-19plus V2; SeaBird Electronic Inc. USA). The camera was mounted vertically (altitude 1 m) providing a visible area of 62 x 46.5 cm (0.29 m-2) and the scene was illuminated by two 50W halogen lamps (Oceanlab, UK). Approximately ~1kg of bait (Tuna, Thunnus sp.) is attached to a 1cm diameter scaled bar in the centre of the field of view (FOV) and positioned to intersect the sediment-water interface. The bait emits an odor plume in the ambient currents which is detected by scavenging fauna that then follow it up stream to the lander. One minute of video footage was then taken of the bait-attending fauna every 5 minutes. 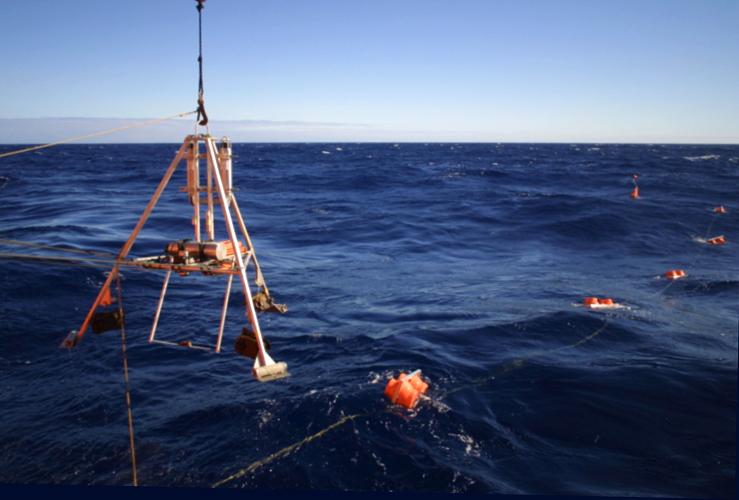 The CTD probe recorded temperature (˚C), salinity, and pressure (dbar) every 10 seconds throughout the deployment. This provides both vertical CTD profiles through the water column and bottom CTD measurements over 12 to 24 hours. 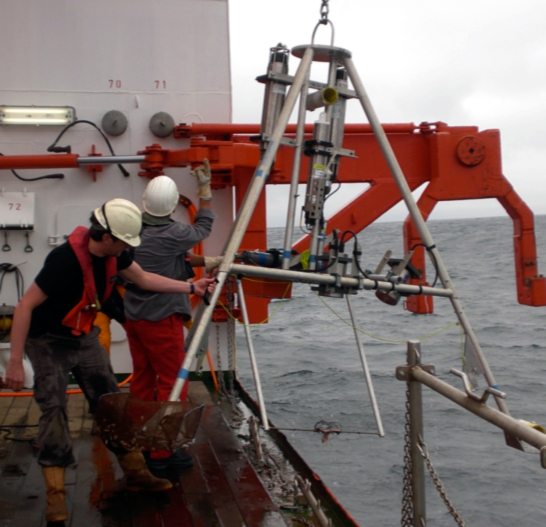 Both the video camera and CTD probe were pre-programmed prior to deployment and therefore recorded autonomously. All data were downloaded upon recovery. Hadal-Lander A was also often equipped with an array of small baited funnel traps, positioned on the end of each of the 3 legs. These small traps were used to collect small scavenging crustacean samples, primarily amphipods, for taxonomic and phylogenetic analysis. The lander delivery system comprised the instrument frame (aluminium), a mooring in which 6 buoyancy modules were coupled ‘off-line’, three steel ballast weights and two acoustic release systems to jettison the ballast weights. The lander was deployed with these three weights attached, weighing a combined 135 kgs. The lander descended to the seafloor at ~50m/min whereupon it crash landed. At the end of the experimental/observational period, a unique acoustic command was sent from the ship which triggered the ballast weights to drop. Two acoustic releases (AR2500-ti; IXSEA, France) were used in the unlikely event that one should fail to activate. The lander then ascended to the surface at ~30 m/min by virtue of the positively buoyant mooring consisting of multiple 17” evacuated glass spheres (Nautilus Marine Services, Germany). To aid recovery, the lander was equipped with a large orange flag, a strobe light and a VHF beacon (Novatech, Canada). Hadal-Lander A had been used extensively between 65100 and 9800 metres in the Japan, Mariana, Tonga, Izu-Ogasawara and Kermadec Trenches prior to it’s loss in 2009. Jamieson, A.J., et al., (2011) Journal of the Marine Biology Association of the United Kingdom. Fujii, T., et al., (2010) BioScience, 60(7), 506-515. Jamieson, A.J., et al., (2009) Marine Technology Society Journal, 43(5), 151-159. Jamieson, A.J., et al., (2009) Deep-Sea Research I, 56, 641-647. Jamieson, A.J., et al., (2009) Proceedings of the Royal Society B, 276, 1037-1045.